“Part of being a twin, one assumes, is that you have to work a bit harder to find your individuality. 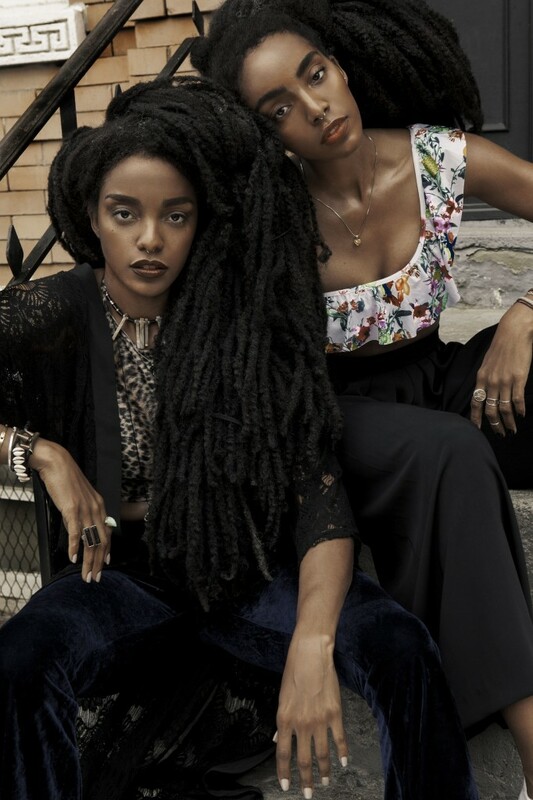 This wasn’t an issue for the uber-fashionable identical twins, TK and Cipriana Quann, who have never been afraid to colour outside the lines when it comes to style and beauty. Growing up in the suburbs of Baltimore, the sisters used fashion as a creative outlet from a very young age. “As kids, it was their dad who inspired their love of thrifting, flea markets and yard sales, and their mother – CEO of a medical distribution company, and the family’s breadwinner – who instilled their strong sense of female empowerment. In their teens, the girls developed a passion for customizing their clothing by cutting, sewing and reconstructing their thrift store finds into something unique. “Today, TK makes electronic music under the moniker TK Wonder, and Cipriana is the editor-in-chief and cofounder of the lifestyle website URBAN BUSH BABES. Both live in New York, and have developed individual styles so eclectic they’re difficult to define. While both certainly seem to favour a bright lip, strong brow and voluminous hair, otherwise their aesthetic sensibilities are all over the map, promoting freedom of self-expression and individuality over the zeitgeist. Here, they discuss their three top beauty and style icons of all time, and revel in the joys of stylistic freedom.